You want to protect your car, but a vast majority of dings and dents aren’t your fault. They can come in the form of a mysterious door ding after you return from shopping or a hail storm your local meteorologist didn’t predict. You have to prepare for the unexpected and know how to protect your car from door dings and other common occurrences. Protect your car by being aware of these common causes of dents, where they can occur on your vehicle and what you can do to prevent them from happening in the first place. Remember that car you parked next to and thought it was hugging the line a little tight? While you were in the grocery store they opened their door and…splat! Now the side of your car has a large dent in it. Door dings may be a fact of vehicle ownership, but can be avoided in many cases, by being more cautious and aware of your surroundings. Parking further away to prevent car dents may be stating the obvious, but people are constantly looking for convenience. Step away from the crowd and give yourself a few spaces on each side. Set the tone inside the lines for everyone else, and get some exercise in while you’re at it! Kids, more often than not, have good intentions. They don’t always understand how much your vehicle costs, or how big of a deal a dent or two can be. Teach them to be careful entering and exiting the vehicle, and not to play with balls, bikes and other potentially damaging toys around the car. Hail damage is the most “natural” occurrence of car dents, because after all, you can’t control the weather. Hail damage, for most insurance companies, is considered an “act of God” and does not fall under your basic coverage. It is typically considered a comprehensive claim, and filing a single hail damage claim in many cases, won’t affect your premiums. Hail damage just isn’t something you can be considered at fault for, unless you abuse your coverage and file multiple claims a year. Hail damage plagues many vehicle owners, especially those living in “hail alley”, where Nebraska, Colorado and Wyoming meet. On average, vehicle owners in these states can expect 7-9 hail storms per year, but hail can happen just about anywhere, to the tune of $1 billion in annual damages to property and crops, according to the National Oceanic Atmospheric Association. Some common areas where hail damage occurs include your hood, roof, trunk and even windshields. While hail is usually pea or marble sized, it can be as large as a softball, and that can cause serious damage to exposed sections of your vehicle. No, you can’t control the weather, but you can take steps to avoid filing a hail damage claim in even the most affected areas. In the winter, parking in a garage keeps ice and snow off of your vehicle, getting you on the road quicker. Garage parking also keeps your vehicle out of direct sunlight, which over time, can fade the appearance of leather or other aspects of your interior. If you don’t have the luxury of garage parking, a quality vehicle cover is the next best thing. From basic $50 options to $500 workhorse covers that claim to stop 10 softball sized hail stones at “terminal velocity”, there are plenty of products designed to protect your vehicle from the elements. Not all vehicle owners have comprehensive coverage, leaving them to pay for hail damage out-of-pocket. Most insurance companies offer comprehensive coverage options that cover anything from a minor hail storm to a tree falling on your hood, for instance. Check with your insurance company to determine what their policy is for hail. This is a good thing to have “just in case,” because if you do fall victim to hail damage, all you need to pay is a deductible. If your vehicle has been damaged by hail, Dent Wizard will work with your insurance company on hail damage claims, to repair any and all dings and dents caused by hail with a limited lifetime warranty, and in many cases, at no additional cost aside from your standard insurance deductible. The below video explains how the hail damage repair process at Dent Wizard works. Dings and dents happen. That’s why Dent Wizard offers affordable Paintless Dent Removal Services and Hail Damage Repair along with a full line of service plans to help vehicle owners through these common causes of dents and get them back on the road quickly. 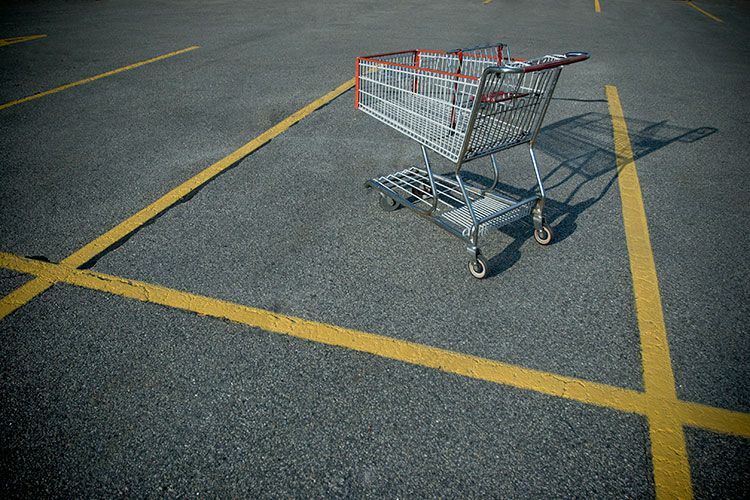 What is the worst parking lot surprise you have gotten? What do you do to protect your vehicle? Let us know on our Facebook or Twitter pages and visit Dent Wizard online today to learn more about our industry-leading processes!